FundCalcs was incorporated in 2012 to provide specialist support to the Asset Management and Asset Servicing industries in areas that continue to be inadequately supported in the industry. With solutions catering for 15 Investment Managers and Hedge Funds across 7 jurisdictions FundCalcs is actively assisting the Investment Industry with reducing risk and providing calculation transparency through innovative automation and reporting solutions. We will develop feature-based software quicker than platform providers, which means you have usable solutions sooner. We don’t impose rules on what data sources / formats our customers use and engage in a manner that is non-disruptive. 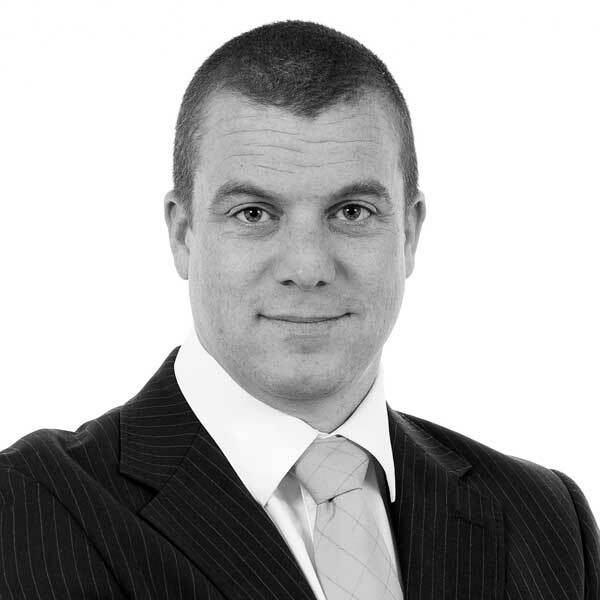 Alan has over 15 years’ experience in the financial services software industry. Having directly experienced the need for better automation and calculations support in the investment funds industry, Alan chose the complexities of performance fee calculations as an entry point to improving the offering of automated software to non-standard back office tasks. Alan holds a bachelor’s degree in actuarial and Financial Studies and a Master of Science in Software Development. Len has over 20 years experience in the Fund Administration industry. Len managed Fund Accounting Teams in BNY Mellon for over 10 years and has also worked in Product and Project Management roles with other Fund Servicing firms like JP Morgan, Northern Trust and State Street. Len is an accomplished Change Management professional, a certified Project Manager and was previously Managing Director at SQA Consulting (Ireland) Ltd.
Des has over 20 years’ experience in the technology and funds industries and has managed relationships with global asset management and fund administration clients for technology solutions and data management services. With extensive experience on both the IT and business sides of technology companies, he is able to bridge the delivery and operational requirements for solution offerings and excels in translating IT to business problems and vice versa. Having joined FundCalcs in 2018, Des is focused on enhancing our client engagement model and scaling our delivery capabilities to provide maximum business value to our clients. Chris has over 20 years’ experience in financial services, initially as an actuary at New Ireland Assurance and subsequently in software development and consulting roles with IBM and FINEOS. Chris holds a bachelor’s degree in information technology, the Certificate in Quantitative Finance, and is a Fellow of the Institute of Actuaries. John was appointed to the Board of Fundcalcs in Q4 2018. He is currently Chief Financial Officer at teamwork.com and has previously held CFO and COO roles at various privately owned and publicly listed International Technology companies. John advises early stage and growth companies on strategy and sits on a number of boards. John holds an MBA from the University of Limerick, is a Chartered Management Accountant and holds a Batchelor of Commerce degree from University College Cork. project, which developed the advanced knowledge graph technology and software platform that DataChemist is based upon. Dave is a qualified accountant, with 20 years’ broad experience in the financial services Industry working in Asset Management and Asset Servicing Firms. Dave has broad expertise In managing fund accounting, transfer agency, and custody operations, as well as implementing complex technical and regulatory projects within asset management firms. Our team has extensive experience helping our customers with the design and delivery of complex solutions around the globe. Talk to us today about how we can enable you deliver for your clients and investors.